Lake Local Schools will stage a groundbreaking ceremony for its new Lake Primary School Monday, April 16, 2018 beginning at 9 a.m. at the current Uniontown Elementary school located at 13244 Cleveland Ave., Uniontown. When completed tentatively by the end of 2018, the remodeled school will house students in preschool through grades 1. Some site preparation, grading, and relocation of the school’s playground to the back of the building have already occurred. The current Uniontown Elementary building houses grades K -3. The NEW Lake Primary School will include a new gymnasium, addition of flexible learning space, enhanced security features, and state-of-the-art technology. When completed the new primary school will include 49,000-square feet of renovated space, and 9,700-square feet of new construction. Lake’s Board of Education members, members of the Lake administrative staff, students, and representatives from Hammond Construction and Sol Harris Day will be on hand for the brief ceremony. At the start of the school year next September, 2018, Uniontown students will travel to the current Lake Middle School building while new construction and remodeling occurs at the Uniontown school. By next fall, 2018, students in grades 7-8 from Lake Middle School students will have relocated and be attending classes in the new addition at the Lake Middle/High School, housing grades 7-12. 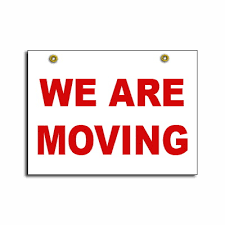 Students in grade 6 from Lake Middle School will have relocated and be attending classes in the NEW Lake Elementary building, housing grades 2-6.